We all know very well that the shooters have taken all the platforms, especially with the well-known and trending Battle Royale games. In smartphones, they are also gaining a notable amount of audience thanks to two aspects: the Fortnite and PUBG adaptations to smartphones. With all this interest in the games of high graphics load, and the name that Epic Games and PUBG have achieved, other important series of the genre have been displaced in smartphones; that is why Activision has now decided to ally with Tencent (distributor of PUBG) to create the definitive Call of Duty for mobiles. The shooters have taken all the platforms, especially with the well-known and trending Battle Royale games. In smartphones, they are also gaining a notable amount of audience thanks to two aspects: the Fortnite and PUBG adaptations to smartphones and the potential of these devices to run games with great graphics capacity. There is even a new mobile niche, those specifically designed to play games only, of course, I am talking about the “Gaming Smartphones”. With all this interest in the games of high graphics load, and the name that Epic Games and PUBG have achieved, other important series of the genre have been displaced in smartphones; that is why Activision has now decided to ally with Tencent (distributor of PUBG) to create the definitive Call of Duty for mobiles. And the good thing is that currently, we could already try the game in the first betas as well. 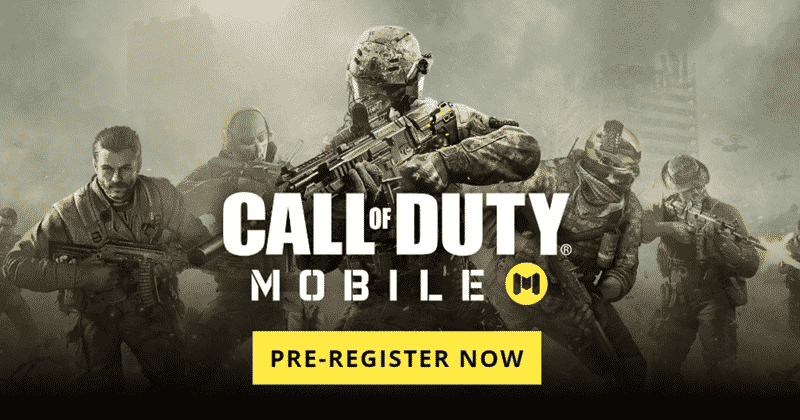 So, now it’s the turn of the official announcement: Call of Duty Mobile, the final name of the game, will be available soon and at the moment we don’t know about the final dates. But, we do know that there will be open betas next summer; to which you can sign up if you register now. Given the enormous popularity of Battle Royale, Activision and Tencent have had to adapt the new Call of Duty Mobile to the multiplayer needs of this type of shooters. In this sense, the developers confirm that there will be several game modes included, and among them here are few, deathmatch, both solo and by teams. All within the original Call of Duty maps, with the recognizable weapons and the most popular characters of the series. As seen in the first betas, Call of Duty Mobile will use a large graphics load simply to squeeze the power of the best smartphones. The game promises to be broad and competitive, as a good COD deserves. In addition, it does not seem that the pressure of the purchases will be exaggerated since, the download will be free and surely no micropayments are needed to progress, unlike the Fortnite. The following Call of Duty Mobile betas will be open in the summer. To enter them, Activision has opened a pre-registration page, from where anyone can sign up to know the news and also have access to those first betas. Moreover, the game is already on Google Play in the form of prior registration as well that you can find here. So, what do you think about this? Simply share all your views and thoughts in the comment section below. And if you liked this post then simply do not forget to share this article with your friends and family.